Made with Lagrein grapes, a local varietal from Trentino Alto Adige region. The grapes are grown along the Adige Valley, north of Trento. The unique alluvial soil, created by the Adige river, is particularly suited for these grapes, giving a fresh, fruity and young character to this rosé. The grapes are hand-picked in early September. 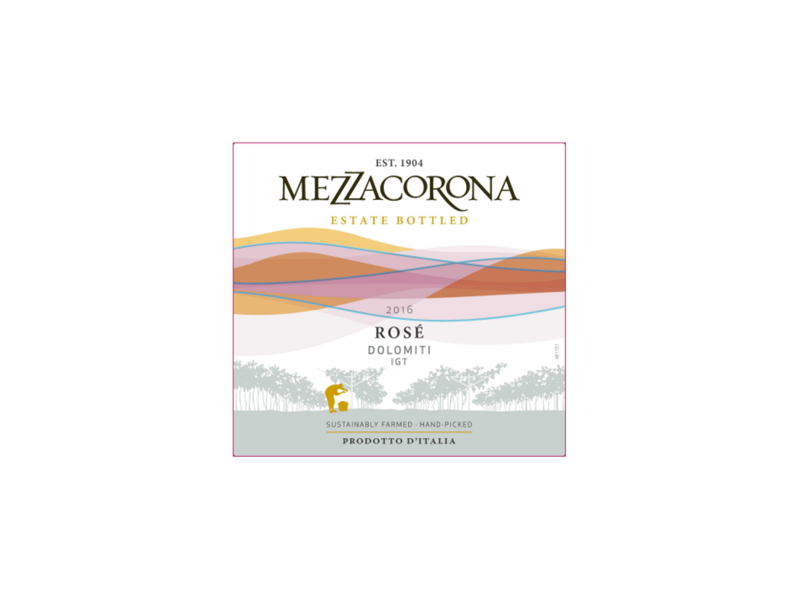 During the rosé vinification process, the grapes undergo cold maceration for 12 hours, followed by a soft pressing, in order to obtain a partial extraction of color from the berries while retaining freshness of the fruity aromas. Fermentation at controlled temperatures of around 16-18°C follows which preserves the fresh and fruity fragrances. After fermentation, the wine remains on the lees for 4-5 months, preserving its freshness and roundness. Color: light violet, light ruby redBouquet: a complex aroma profile of wild red berries with floral notes of roses and geranium. Flavor: a perfect balance between the fresh acidity that comes from the surrounding mountains and the full-mouthfeel, typical of the Mediterranean climate. Ideal as an aperitif but also a perfect match with Italian cuisine, especially with hors-d’oeuvres, pasta, mushrooms and white grilled meats.